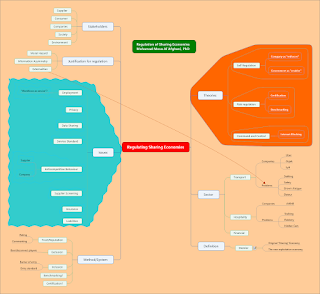 This mindmap (v.1.0.) lists issues and explores regulatory methods for sharing economies. Banning/disconnecting users from marketplace and rating/trust system are proposed as part of the new regulatory tools. 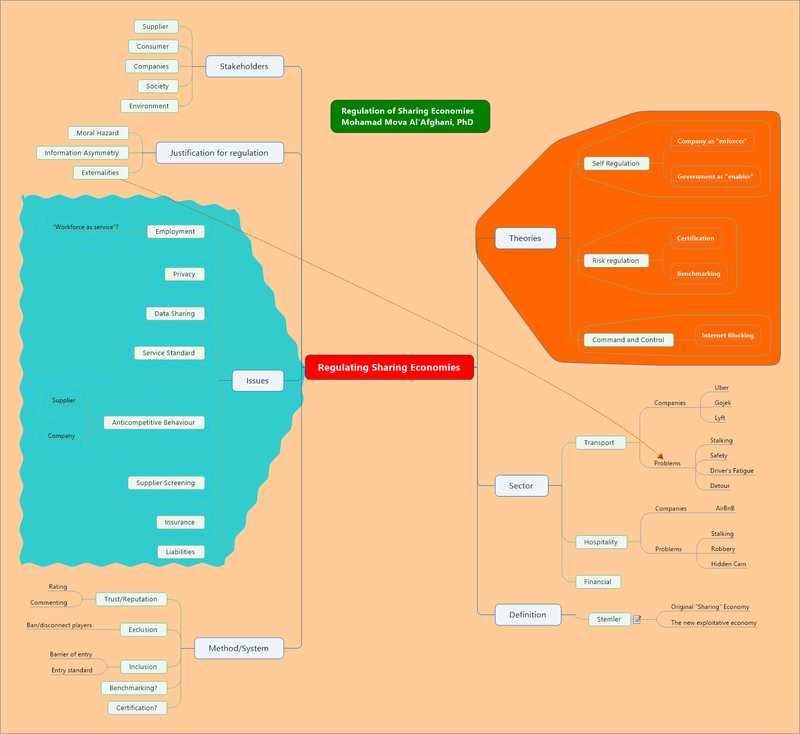 To view/download the full size mind map, go to here.